Everyone seems to be on board with swapping to LED lighting and for good reason. LED lights last longer and use less energy than standard incandescent bulbs. There is a time and a place for LED lighting and different colors and hues can affect your mood. Unfortunately, Virginia Raggi did not get the memo as there have been a 100,000 LED lamps installed on the streets of Rome. While they are estimated to save Rome millions on their electricity bills, the residents are less than impressed. Despite the potential environmental and savings benefits, there are people leading the charge to reverse the decision. One resident, Nathalie Naim, is leading the charge. One of the issues with everyone switching to electric cars is the lack of charging stations available. 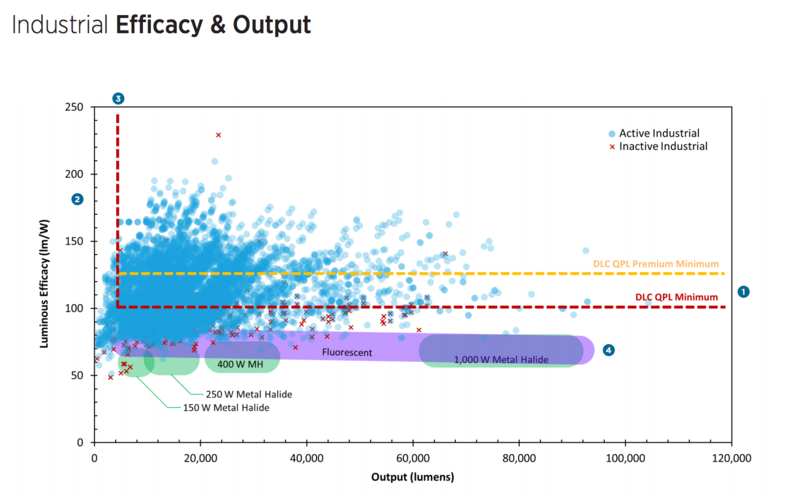 This is often times what critics point to when saying that making a full switch to electric cars isn’t doable. While this is a valid point, it isn’t very sound logic. We’ve all seen this play out multiple times in history where if something is important enough, people will make changes to make sure it happens. The same goes for charging station infrastructure. According to this article on electric vehicle charging equipment, EV charging infrastructure is on the rise. China’s demand for “fleet PEVs” is rising and overall sales for PEVs will grow to 6 million in 2026. With the whole world aware of the effects of global warming, I anticipate more and more people will embrace the switch to electric cars. There are thousands of ways to save money on your monthly and yearly energy bill. Most people think you have to upgrade to save money but that couldn’t be further from the truth. All you have to do is make a few minor adjustments to your electronics and appliances and you could have hundreds of dollars each year back in your pocket. Most people will go straight for the oven when baking but most things will do just fine in the toaster oven instead. You’ll also save more time as the toaster oven doesn’t take as long to heat up. By cooking, you’ll also warm up the area and not have to crank up the heating system as high. Energy Star uses much less energy than other appliances. This includes washers, water heaters, furnaces, refrigerators and more. You may pay more up front but the savings, in the long run, are well worth it. Older shower heads use 4-6 gallons of water per minute. Low-flow shower heads are easy to install and use only 1.5 gallons per minute. They range in cost so you’ll have to choose wisely to save the most money. You can save up to 10% off your utility bill with a programmable thermostat and it’s relatively easy to install. There is a sweet spot to every house so you’ll have to experiment to see what works and doesn’t work. Light switches and outlets can be a source of air leaks. Insulating can prevent leaks and save you money. Your attic is where most of the heat in your home escapes. Heat rises and most homes aren’t built with enough insulation to keep it from seeping out through the attic. You can save the most money by going with Fiberglass insulation and installing it yourself. You can save up to 20%-30% on heating and cooling costs by insulating your home. This is for people who have tile or laminate in their home as it absorbs cold air and then circulates it back through your home. A rug will retain heat and become an insulator between the floor and your house. Home window tinting is an inexpensive way to retain heat and save lots of money. Most people will change out their windows before even thinking of home window tinting. It’s a film you can apply to your windows that reflect light and also help regulate temperature and in your home. Not only will it keep your home cooler during the summer but also warmer in the winter. Winters can be especially cold in Windsor and Ft. Collins but most people enjoy the shift in weather once it hits. Wearing layers is a great way to keep warm with out spending too much on your monthly energy bills. LED lighting is all the rage. While they didn’t start out very cheap, they are more affordable than ever before. They are still more of a long term investment but they have rendered incandescent lights just about obsolete. More on LED lights.. While Incandescent lights convert 10% of energy into light, LED converts 95% of energy consumed into light. They can last up to 25 times longer than a standard light bulb and use at least 75% less energy. As more and more people go green, there will be better technology to save money and energy. Low flow toilets are part of the next big wave. Believe it or not, your appliances and electronics can account for 20%-30% of your household energy bill. There are simple things you can do to save money on your monthly energy bill. When going on vacation, unplug your computers, TVs, appliances and other electronics. Leaving them plugged in wastes energy. Shut off your computer when it’s no longer in use. Most people will leave them in sleep mode. Laptop computers use less electricity than desktop computers. Not every room has to be lit up like a Christmas tree. You may not want as bright of lights in your bedroom as you would in your living room. Installing dimmers can also reduce the amount of electricity you use in each room. You could also install motion detectors so when you leave the area, the lights turn off. Also, something simple as cleaning your lights can help reduce energy costs. Insulating and Sealing your home can make your home more comfortable and energy-efficient, ultimately saving a lot of money over the year. Some common places leaks may occur are electrical outlets, attic hatches, around pipes and wires, baseboards, window frames and mail slots. Installing a ceiling fan can help cool your home without an air conditioner. If you have an air conditioner, replacing your air filter will increase airflow and reduce friction. Set a thermostat to a good temperature and then turn it down at night when you aren’t home. Roughly 2% of the heating bill will be saved per each degree that the thermostat is lowered. Installing a programmable thermostat gives you more control over and can save you anywhere between $100-$200 per year! Make sure to lower your curtains to better insulate your room. As mentioned in our “5 Common Causes of Electrical Fires” article, According to the U.S. Fire Administration (USFA), there are 28,600 electrical fires per year. These fires cause $1.1 billion in property damage and loss and are responsible for 310 deaths and 1,100 injuries each year. We know what causes electrical fires but how do we go about preventing them? We have listed the best ways to prevent electrical fires in your home. Doing these simple things will keep you and your family safe from unexpected disasters. 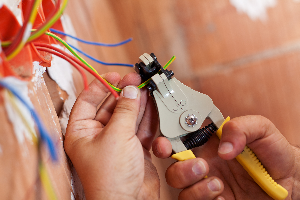 The older the home the more important it is to hire a reputable electrician to inspect the wiring. Wiring wears out over time especially aluminum wiring which is more fire-prone than copper. Having someone inspect your wiring is important. As a general rule of thumb, you should check your wiring if it’s older than 10 Yrs. If it looks worn out, frayed, or tattered, you’ll want to get it replaced immediately. One small spark can start a massive fire. Bad wiring is one of the biggest causes of electrical fires. If you see anything tattered, worn out or frayed, replace it immediately. Bad cords can overheat and/or cause sparks starting a fire in the process. Overloading a socket is a common cause of electrical fires. This happens when you plug in too many things into the same outlet, extension cord or power strip. Electrical circuits can only provide so much electricity at one time. There are power strips that shut off as soon as it becomes too overloaded. Irons, hair dryers, lamps and portable space heaters can all be dangerous depending on where you keep them in your home. Blankets, towels, and rugs have all started electrical fires next to regular household appliances. Tucking extension cords and cables under your rugs can also cause excessive heat which can, in turn, start a fire. Not all appliances are built to last or even with the same standards. Poorly made appliances are a big part of a lot of electrical fires. Make sure you search online to see whether or not they have any complaints or are defective in any way. There are wattage and fixture requirements that most people ignore. Make sure you follow these recommendations and the light bulbs are screwed in tightly so they don’t over heat. It’s best to have an electrician check the rating on the fuse for the circuit breaker they’re protecting. It should be noted that replacing a fuse with the same size you are removing is best practice. As you continue to upgrade your home with more lighting, appliances or new electronics, you could potentially overload your homes electrical service capacity. A big clue is if your fuses frequently blow and you’ll have to increase the capacity of your electrical service or add new branch circuits. If it seems too complicated for you to fix it’s probably dangerous for you to even try it’s time to contact a professional. There’s no reason to risk serious injury or your life to save a few dollars. It’s important to reach out to a reputable expert in the area. Having someone who is familiar with the wiring is important as they will know how to properly fix it. We all know that LEDs are one of the best ways to start going green. But if that doesn’t matter to you then why should you switch over? If you’re all aboard the helping the environment train, there are a few things you should know before making the switch. One of the biggest reasons to switch over is that the Energy Independence and Security Act (EISA) passed in 2007. It requires traditional incandescent lights to be 25% more efficient which is hard to achieve unless than brightness is lowered. Instead, manufacturers have elected to focus their efforts on more energy efficient lighting technologies. LED lights didn’t start cheap and they aren’t as cheap as incandescent lights but they pay off over time. Think of them as a long term investment instead of an up front discount. LED lights started as high as $30-$40, which is a hard to justify paying for. They are now mostly in the $10-$15 range for a 60-Watt equivalent LED bulb. While incandescent bulbs suddenly burn out, LED lights slowly dim and burn out over time. In some cases, LED lights can last you two decades. Swapping 1 standard light bulb to LED can save you anywhere from $40-$80 over its lifetime. While Incandescent lights convert 10% of energy into light, LED converts 95% of energy consumed into light. They can last up to 25 times longer than a standard light bulb and use at least 75% less energy. They also emit very little heat in comparison to an incandescent light which releases about 80% of their energy from heat. This makes them much safer because they are much cooler to the touch. During the holiday season, if you use LED Christmas lights, you can expect less of a fire hazard. Believe it or not, you could use the same LED Christmas lights for up to 40 holiday seasons. LED bulbs produce a wide range of colors such as white, yellow, purple, and red. Depending on where you want your LED light to be will determine what color light you’ll need. The most popular LED lights are “bright white”, “soft white”, and “warm white.” If you want the nice, warm, yellow glow of an incandescent light bulb you’ll want to go with warm white and soft white. Bright white will produce light closer to daylight and what you’ll see in retail stores. The light color is measured in kelvins and the lower the Kelvin, the warmer the light. Lighting can cost you as much as 50% of your energy bill. It’s important to be mindful of turning the lights off when you leave a room or leave the home. There are quite a few other things you can do to lower your energy costs. Below, we have outlined some of the top money saving tips for lighting you can start implementing right away. What is daylighting? It’s a way of using natural light to illuminate your home such as installing skylights. Installing skylights can add natural lighting to your home.It’s important to buy double-pane or you won’t save as much money. Light shelves are horizontal surfaces above eye-level that have high-reflectance surfaces that reflect sun onto the ceiling. A clerestory window is a higher section of the wall above eye-level that illuminates a room and also allows fresh air. Incandescent lights are less efficient and cost more money to light your home. What are Incandescent lights? They are old-school, cheap light bulbs that emit yellowish light and can burn out suddenly. While they are cheap up front, they actually use more energy and end up costing more in the long run. 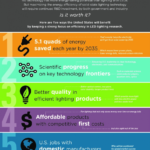 Today, more and more people are using LED or compact fluorescent lamps to save energy and light their homes. Both can reduce energy by 50% to 75% with new advances in lighting control also helping you control your energy costs from the palm of your hand. They can also last 10 times longer than regular incandescent bulbs. Remodeling a Home With Knob-and-Tube Wiring? What Should You Know? 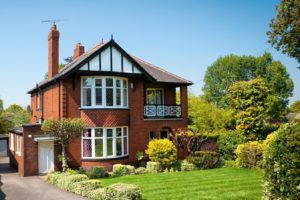 Historic homes can offer a number of unique and aesthetically pleasing options simply not found in more modern homes—from wood trim around your doorways and staircases to built-in bookcases, pantries, and even secret passageways. However, homes built before the 1930s or so can also boast some outdated components. From knob-and-tube wiring to lead-lined water pipes, outdated technology can limit your ability to upgrade or even replace certain appliances if not updated. Fortunately, upgrading your home’s wiring doesn’t need to be a complicated or cost-prohibitive process. Read on to learn more about the intricacies of knob-and-tube (K&T) wiring and what you’ll need to consider when upgrading your historic home’s wiring system. When you remodel your home, some common electrical mistakes could result in an electrical fire if you aren’t careful. Although recent statistics published by the National Fire Protection Association (NFPA) show that electrical fires account for 9 percent of home structure fires nationwide, they account for 16 percent of home fire deaths. Since your home has a complex electrical system that puts you at risk, it helps to know what kinds of problems can occur during a remodel that requires electrical work. To prevent these risks, don’t do any electrical work yourself if you aren’t completely sure how to do so safely-call a qualified electrician instead.